He had German ancestry on his father's side. 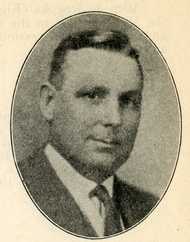 His brother, Emil, was Mayor of Adrian, Minnesota. He was buried in Adrian Cemetery in Adrian, Minnesota. Crippen, Ray. "Adrian Man Was Father of First Farm Moratorium Measure." Worthington Daily Globe, March 14, 1985. Frank J. Sell Memorial. Minnesota Journal of the Senate, April 8, 1953, p. 1589.